Every year online shopping becomes more popular. A lot of stores are also offering the ability for customers to buy online and pick up in the store. 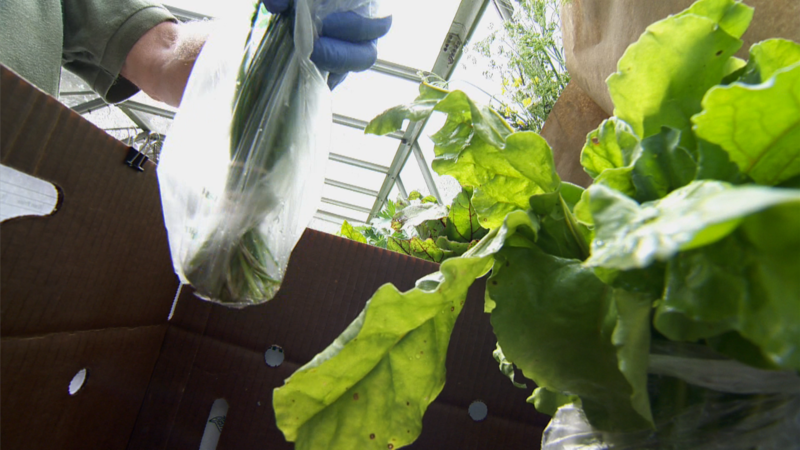 Now local farmers are trying it out. Local farmers have been harvesting early in the week and selling their produce at weekend farmers markets for years. 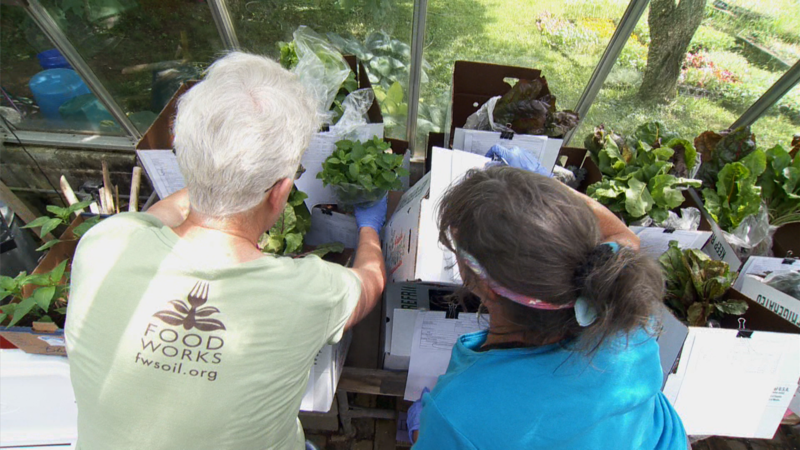 This year some of those local farmers are trying something new. Little Egypt Alliance of Farmers or LEAF was formed in 2016 by a group of local farmers to support small farms and make ordering food easier. They decided the best way to do this is was to create a Community Supported Agriculture model or CSA. The way a traditional CSA works is customers buy a share of the farm before the season and receive a portion of the harvest on a regular basis throughout the growing season. What’s different about the one LEAF created is it’s all online. LEAF operations manager Liz DeRuntz says the unique thing about this online CSA is you get to buy from multiple farms at the same time. 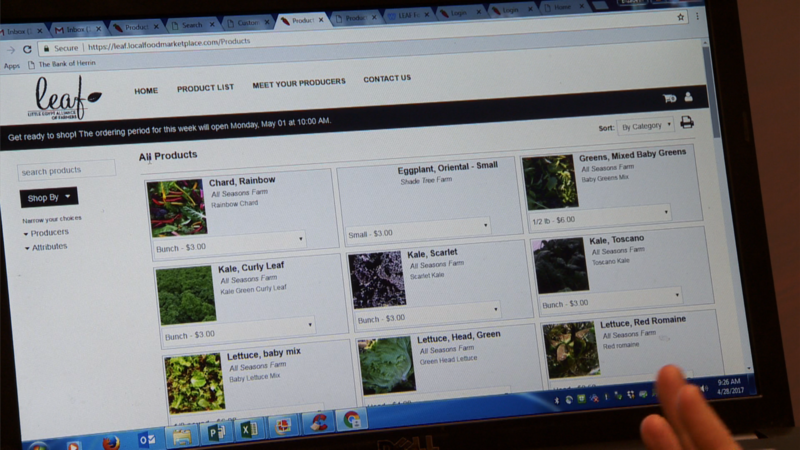 Since it is a CSA customers pay LEAF upfront to create an account and as they buy from the farmers that amount is subtracted from their balance and paid to individual farmers. 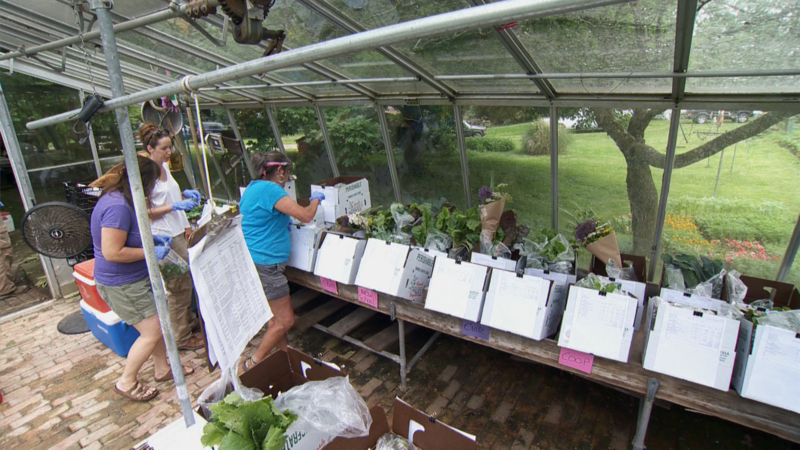 Ed and Pam Hickam own Shade Tree Farm in Carbondale, they’re also founding members of Leaf. 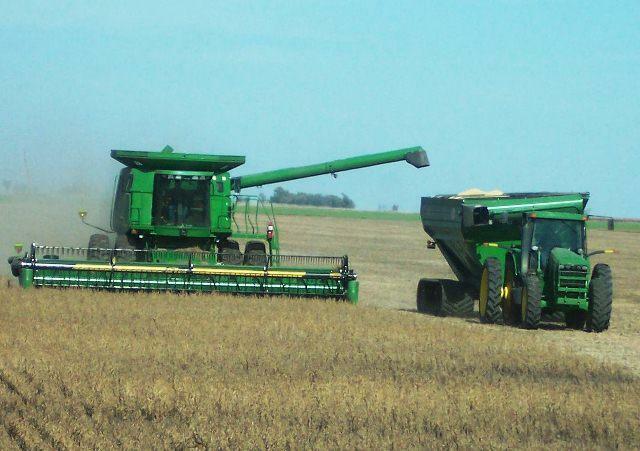 They started the farm about 8 years ago as a retirement business. They grow year round in a high tunnel and outdoors. They offer a little bit of everything from watermelons, tomatoes, strawberries, and a wide variety of vegetables. With the online CSA customers have more choices than before. “The standard CSA of getting a box a week from a particular farmer limits your choice as to what that farmers growing, this way we have 9 times that so I think that venue is going to be really important going forward." Every week from Monday morning to Tuesday evening customers can log onto their LEAF food hub account and see what the farmers have to offer that week. There’s a reason why the order window is for two days. 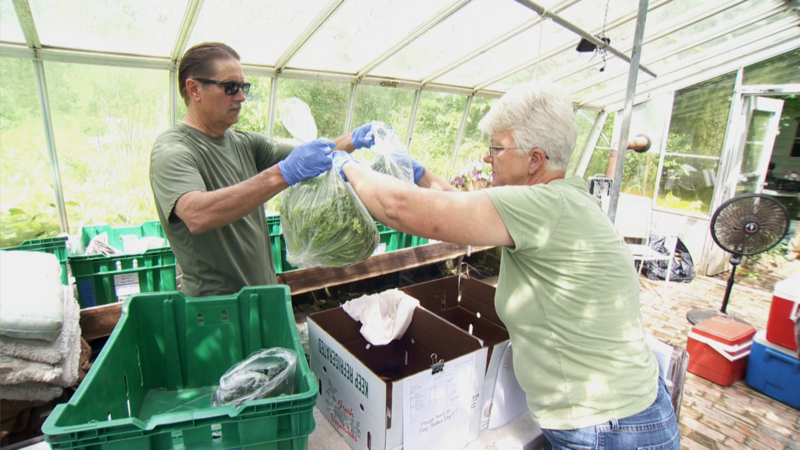 That gives the farmers all day Wednesday and Thursday morning to fill their orders so the produce is delivered Thursday afternoon and the customers receive the freshest products they have. 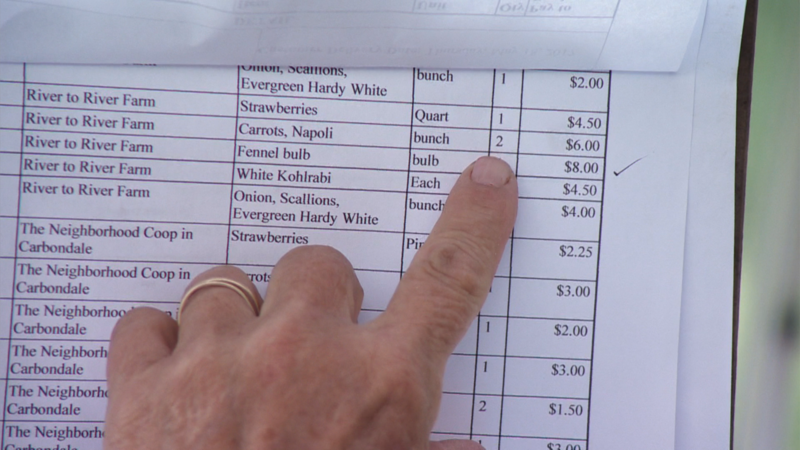 When Hickam receives his online orders he’s able to plan out his harvest for the week more efficiently. 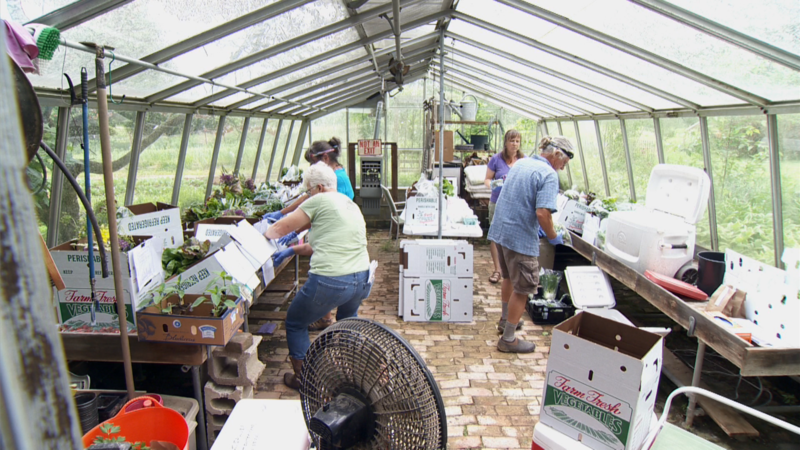 Every Thursday the farmers gather at Shade Tree Farm to assemble the orders. Each farmer takes their turn. Someone calls out what products are needed for each box. Then one by one each box gets filled with produce from all of the farmers. 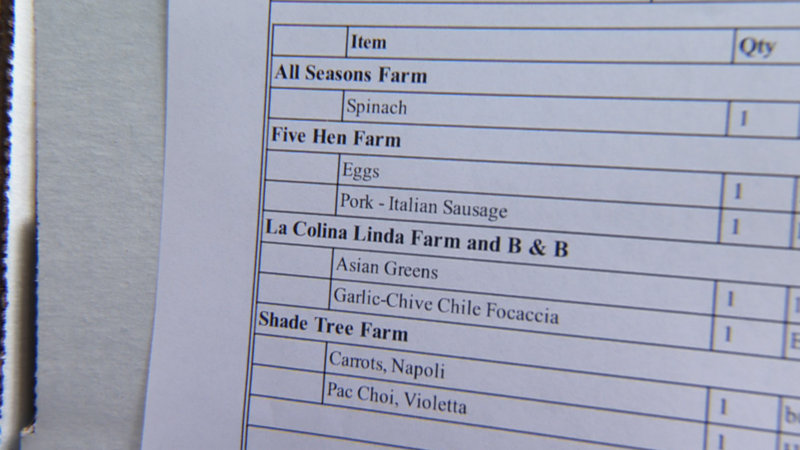 Another added feature of this CSA model is that customers choose how often they want to order. Plus like everything else on line, it’s always open. LEAF is also adding new customers every week. They started with 32 paid members when the website went live May 1st, now they’re up to 60 members and adding more every week. 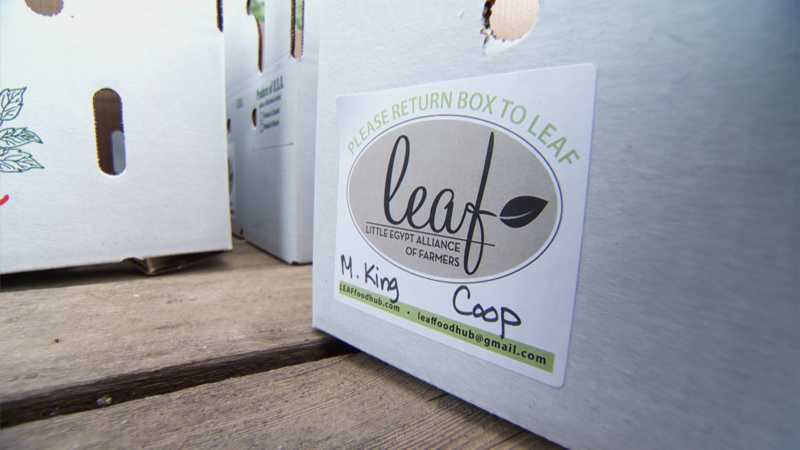 But one of the most important things to LEAF and the farmers is connecting the community. For a retiree like Hickam who started farming for an additional income, this program opened up new possibilities he never thought about. 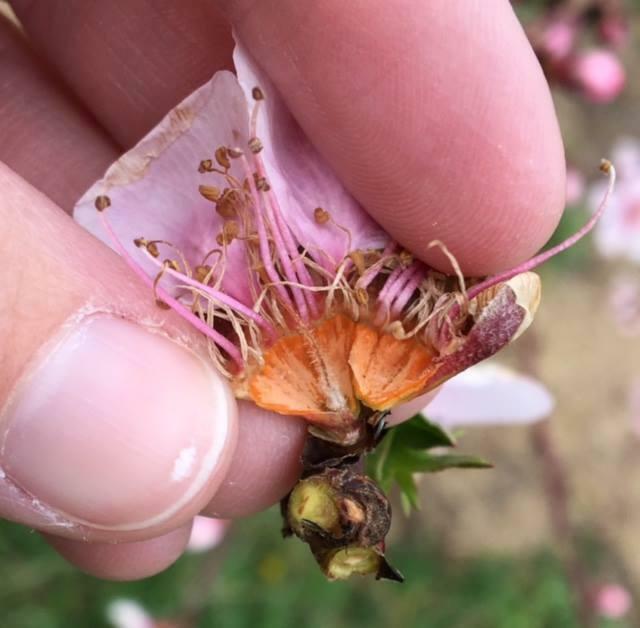 When temperatures dipped into the teens in mid March, area growers grew concerned. “Well we’ve got some damage in the peaches, but at this point we still have peaches."